The Wolfgang Das Bug Sponge is a unique sponge that tackles tough bug guts without damaging paint. The honeycomb structure of the open-cell material grabs bug guts before they can etch paint and cause irreversible damage. 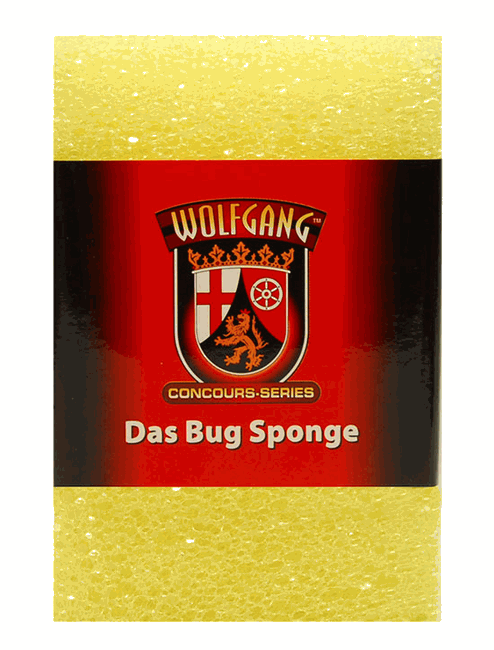 The Wolfgang Das Bug Sponge is a paint-safe weapon in the war against bug guts! Bug are an inevitable part of your driving experience. No matter what time of year, there will always be a few, and then there�s �bug season.� Every region has one! In the southeast, for example, we get pelted with love bugs twice (yes, twice!) a year, and it can spell disaster for paint. The Wolfgang Das Bug Sponge allows you to be proactive and remove those acidic, paint-destroying bug remains before they leave their mark! The Wolfgang Das Bug Sponge is often rejected by new users because it�s �too rough.� While it may seem that way at first, a quick soaking in soapy water softens it significantly without reducing its effectiveness making it completely safe for your clear coat. Once softened, the Wolfgang Das Bug Sponge can be gently run across the surface and it will remove bugs, tar, and other surface contaminants with ease! 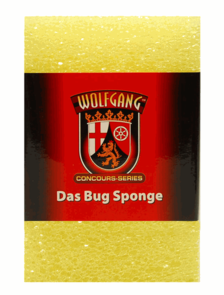 Use Wolfgang Das Bug Sponge with Wolfgang Bug Remover Spritz for quick cleanups that remove bugs, not wax!